Maria Bonita© believes that the quality of our products is a result of our commitment founded on the value of respect of the environment and social responsibility. We devote our time to find and cooperate with traditional small cheese and cassava producers. 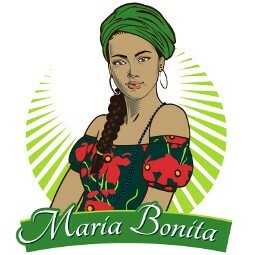 By cooperating with local suppliers, Maria Bonita supports the development of local economies and regional food producers. Our cassava flour supplier uses a natural and free of contaminants cultivation methods. This special flour, directly imported from Brazil, is naturally gluten free and largely used in the South American cuisine. In our recipe we use cheese made by regional producers from Poland and parmesan of extraordinary flavor brought directly from Italy. Our mission is to give you the best ingredients and ensure the highest quality for you and your family. Our passion and commitment always guide us to improvements and new ways of delivering quality to you. We not only provide a product: we provide a unique experience – a bite of Brazilian and European intense tastes.